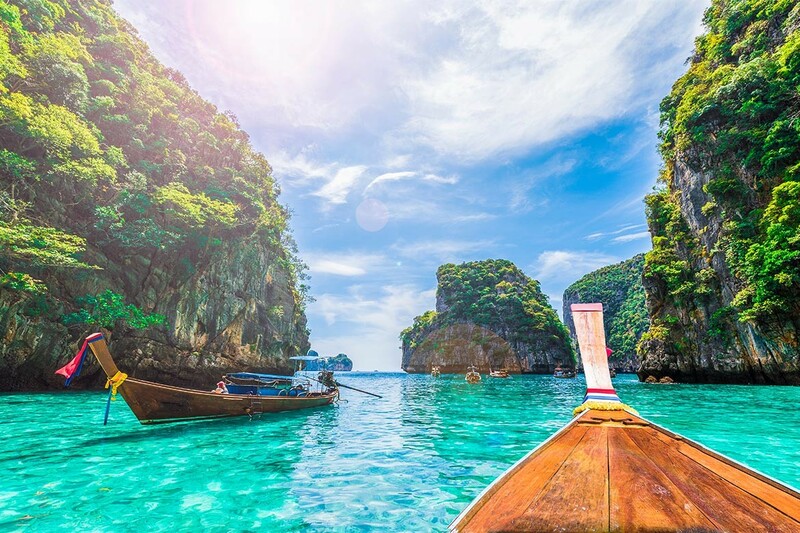 Thailand is a dream destination for sailing enthusiasts, beach lovers, and globe-trotting adventurers, and Navigare Yachting can turn your dream into a spectacular vacation reality! Enjoy this tropical jewel for its breathtaking natural beauty, exotic temples, delightful food, and friendly people. 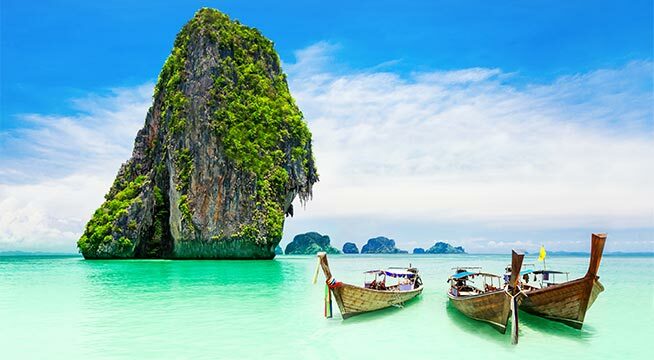 Thailand's long coastline and hundreds of dramatic, gorgeous islands boast irresistible stretches of white sand beach, seductively swaying palm trees, and glittering turquoise waters. 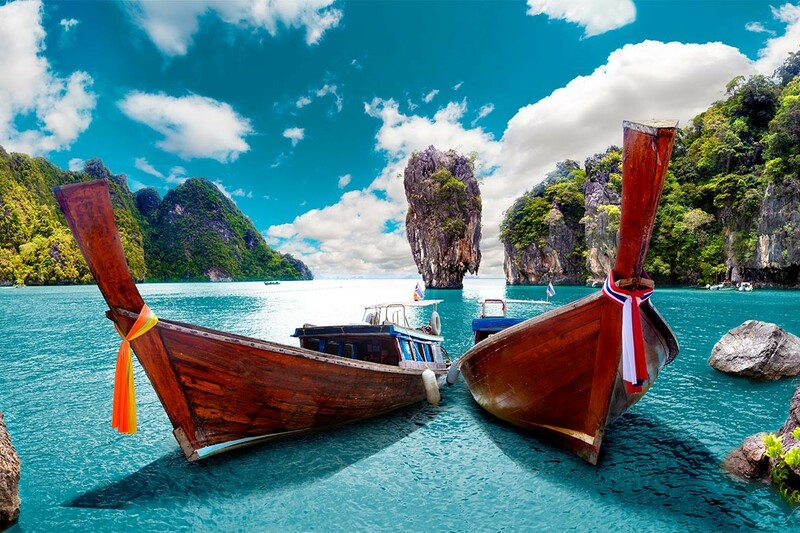 One word describes sailing in Thailand: marvelous! The people are welcoming, living is easy and inexpensive, underwater life is spectacular, and the endless variety of scenic locations you can reach with your own yacht is simply amazing. Winds are typically light year-round and the local tropical climate is one of the main attractions. Navigare Yachting specializes in both short tropical getaways and extended vacation holidays, we can help make your time in Thailand everything you want it to be. Walk along the coral-fringed beaches of Koh Rok, amid sultry mangrove forests and soaring limestone outcrops. Swim in the warm waters of Koh Lanta, surrounded by nature's most abundant and beautiful display of undersea life. 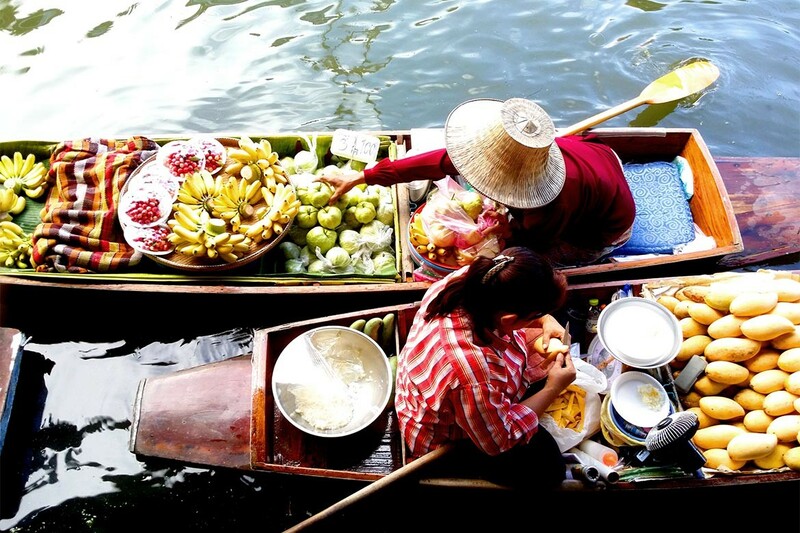 Enjoy the dining & entertainment options of Phuket, one of the world's most luxurious and fun holiday destinations. With hundreds of destinations, consistent winds, and line-of-sight navigation, a Phuket yacht charter or bareboat charter Thailand is the gateway to an incredible vacation! Navigare Yachting specializes in both short tropical getaways and extended vacation holidays, we can help make your time in Thailand everything you want it to be. Choose from a selection of the area's highest standard for skippered catamarans, or bareboats for the more experienced sailor. Planning to charter a yacht in Thailand has never been simpler or more convenient. Navigare Yachting offers an extended payment plan – pay for your vacation with up to six monthly installments, for a wonderful holiday and an outstanding value! Review our fleet of Phuket charter boats, choose the package that best suits your requirements, and book with us online. We're ready to introduce you to Thailand's wonders! 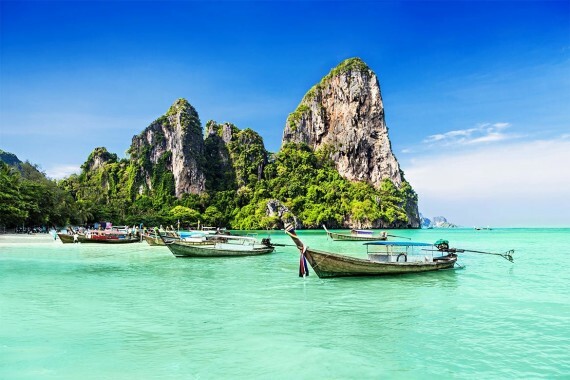 The warm & beautiful waters of Thailand are home to hundreds of islands, lagoons with crystal clear water, brilliantly colored tropical fish by the billions, beautiful coral reefs, and pristine white sand beaches. 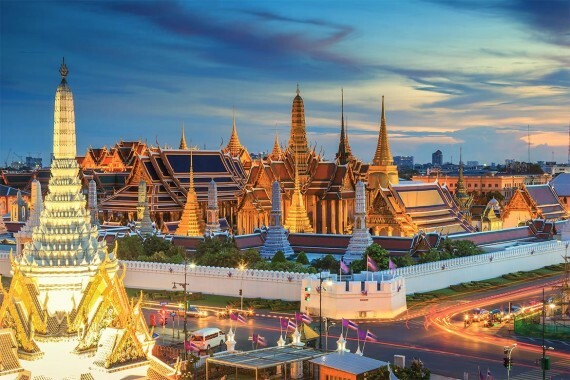 With over 19,000 sq km of waters to sail, a bareboat charter Thailand vacation, or a Phuket yacht charter, has endless sightseeing and anchoring possibilities to choose from. The local Navigare Yachting home base is located on Phuket, one of the world's most beautiful island destinations. Charter duration is a minimum three days, and typically a full seven days. If you'd like to know more about why Navigare Yachting is the preferred choice of Thailand vacationers, take a closer look at our catamarans, luxury crewed catamarans, and bareboats. 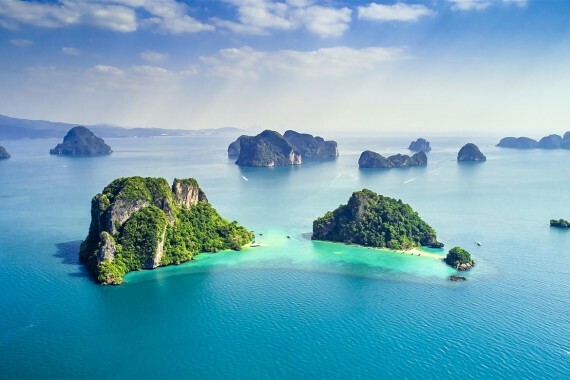 Charter a yacht in Thailand and create an unforgettable holiday experience. Navigare Yachting specializes in sailing holidays in Thailand for families, groups, and couples. Our vessels are best in class for quality, extremely well maintained, and ready to make your vacation one you will remember forever! 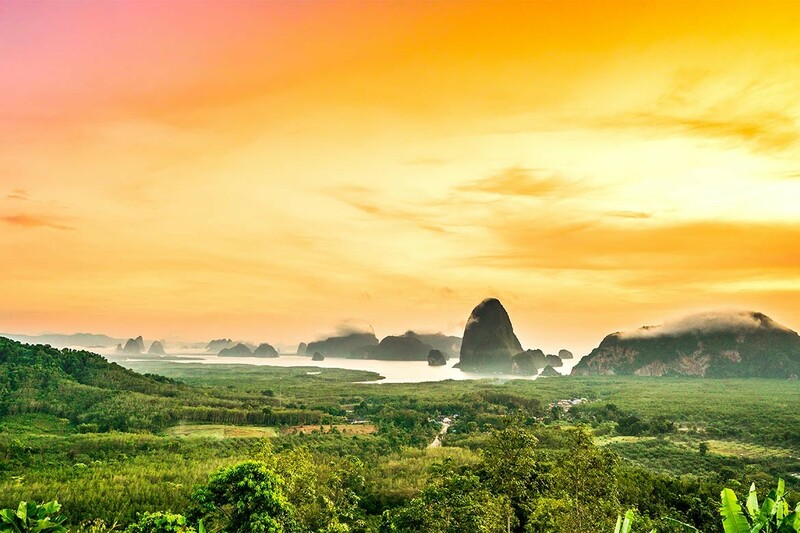 Phang-Nga is famous for its iconic islands that rise up dramatically from the water. These are the islands where the James Bond film The Man with the Golden Gun was filmed. The islands are home to naturally-formed caves that appear almost magical amid the gorgeous splendors of this dramatic island paradise. 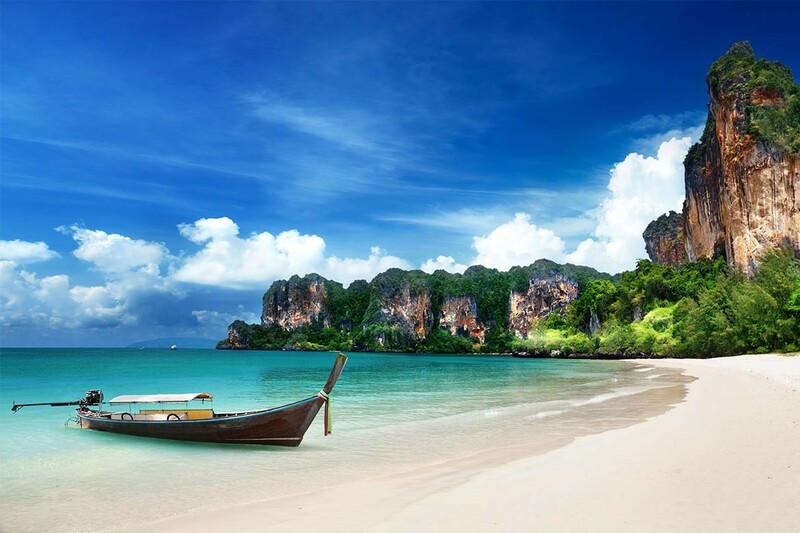 Krabi, on southern Thailand's west coast, includes the resort town of Ao Nang, Phra Nang Beach, and Railay Beach. This astonishing and scenic area contains thriving, emerald green jungle that leads down to pristine white sand beaches and elegant, soaring rock formations with many accessible caves to explore. 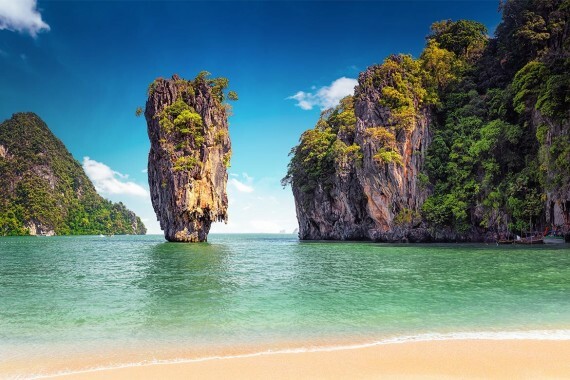 Koh Phi Phi is an amazing island, with rock formations that rise dramatically over the bay. It's a beautiful setting and resort-like destination that includes dozens of shopping, dining, and entertainment options. This is the home of Thailand's most enjoyable nightlife scene. Phuket has evolved into one of the most in-demand yachting destinations in the world. Beautiful white sand beaches, gently swaying palm trees, crystal clear waters, and lively entertainment – Phuket has it all! Navigare Yachting is located on the northeast corner of the island at Yacht Haven Marina, just minutes from Phuket International Airport. 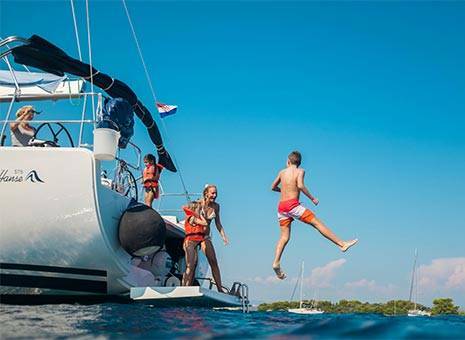 Yacht Haven Marina is a modern and well-equipped facility, with everything you need to launch your ultimate sailing holiday in Thailand vacation. Ready to embark on the sailing vacation of a lifetime? Navigare Yachting is ready to make your holiday truly special. 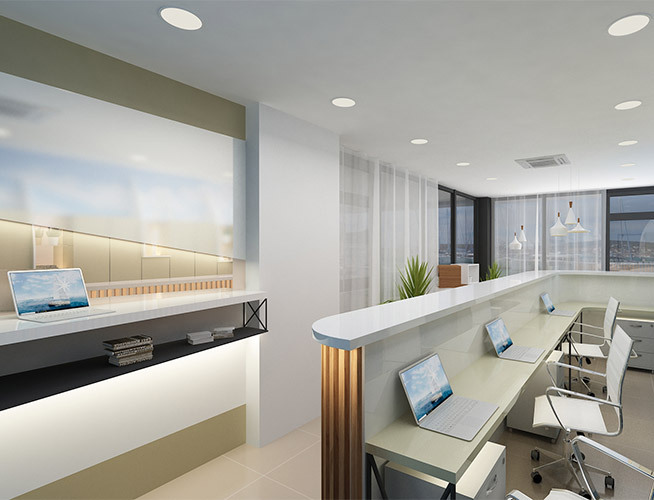 We make it easy for you to get started. Unlike other Phuket yacht charters, we allow you to book with a payment plan that allows up to six monthly installments. Pay according to a schedule that's convenient and simple. Come see why sailing in Thailand is a bucket list item for so many sailing enthusiasts. Charter a yacht in Thailand with Navigare Yachting, the perfect vacation package is waiting for you! March through May is the hot season, usually dry and very warm. June through October is the wet season, with frequent monsoon activity. Winds blow from the southwest and often clear the skies and open up into gorgeously sunny days and brilliant sailing. November through February is the cool season, with moderate weather and easy sailing. The most popular time of year for Thailand yacht charter vacations is during the November-February cool season, when low rainfall and mild temperatures make for optimal sailing conditions. Winds typically blow from the northeast and the air is clear and fine. Tropical storms or cyclones are so rare in this area, you don't need to worry about severe weather interrupting your sailing in Thailand. Our Phuket yacht charter office is fluent in Thai, English, German, and French languages. 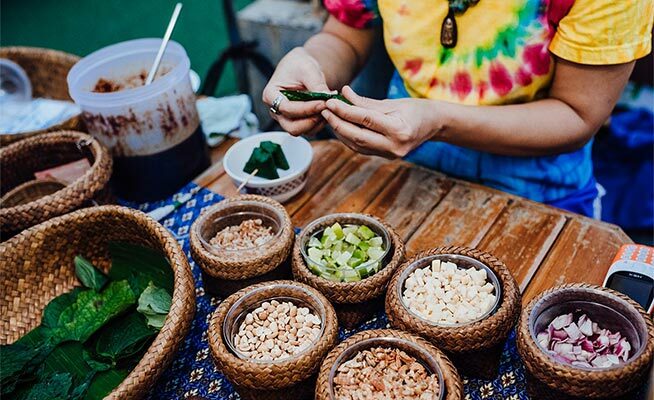 LOCAL CUISINE: Thai cuisine is familiar around the world, with its tantalizing and delicious blend of spicy, sweet, and sour tastes. Garlic, chilies, and fish sauce are frequent ingredients in a variety of dishes, and rice is a universal accompaniment to almost every meal. 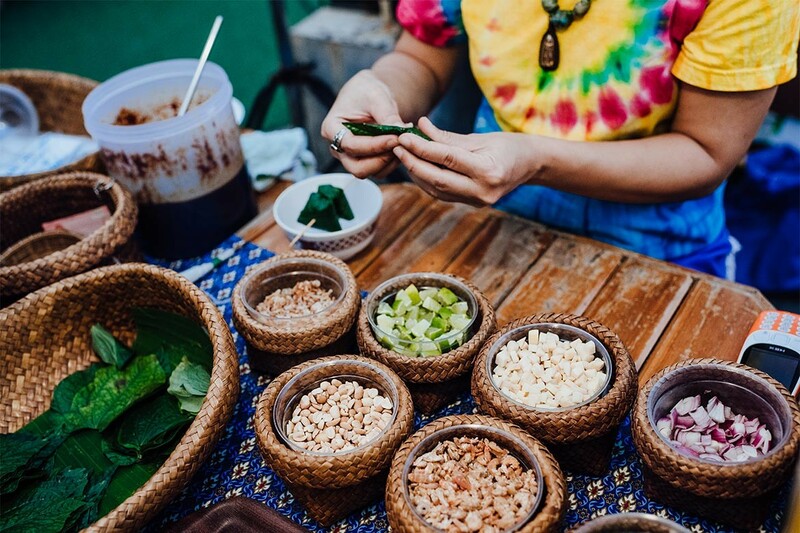 Delectable seafood dishes are a major part of the appeal of a Thailand vacation. You can find a wonderful meal almost around every corner, whether it's a casual little beach cafe, or a fine dining restaurant in one of the entertainment centers. Our Navigare Yachting guests have an embarrassment of delightful choices for dining & entertainment options in Thailand. Phuket is a major vacation destination and well served by quality transportation options. The island is located 800 km south of Bangkok, and 960 km north of Singapore. 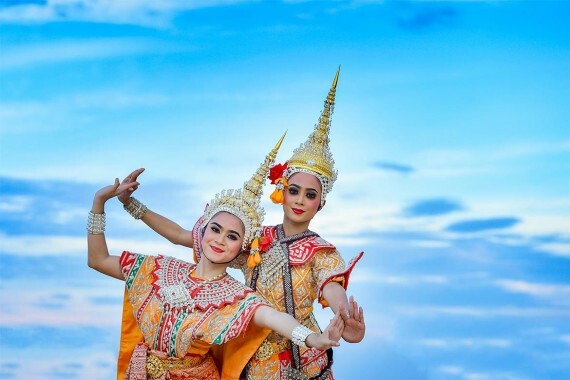 Both cities offer direct air connections and frequent service to Phuket International Airport, with up to 20 daily direct flight options. Flight time is around 90 minutes. Book today, it's simple and fast - you can pay for your charter in up to six monthly installments, which makes planning your trip easier and more affordable. Take a closer look at our fleet of charter catamarans, bareboat or skippered, then choose the package that best suits your requirements. Sailing holidays in Thailand have never been better. Navigare Yachting has made hundreds of dream vacations come true, we can thrill you too! Bareboat, skippered or crewed luxury yacht charter - browse our fleet in Thailand to find the perfect yacht for your sailing vacation. 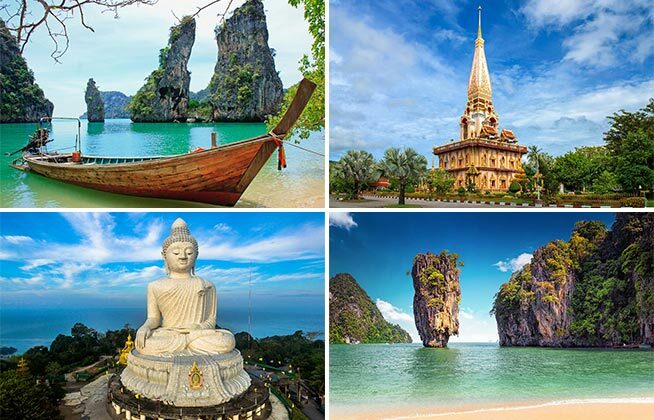 Sail away to beautiful Thailand in one of our amazing iteneraries. Directly on the beach you will be able to enjoy paradise like bungalow resort with deep crystal-clear water where you can drop your anchor and cool down. Good to remember is that from the north end of beach, there is a small road that leads to a little village (perhaps 300m north of the beach) that actually has a Seven Eleven and an ATM. Koh Ma was such a beautiful place! You can drop your anchor in 10 meters deep water on Koh Ma’s east coast. Besides some scattered long-tail boats it is quiet and peaceful with a white sand bottom close to the shore. There you can find a nice unspoilt bounty beach without a resort, but there are several small bungalow resorts further along the coast. Koh Muk is well known for its amazing ‘secret’ emerald cave, which you can swim into after an 80-meter long tunnel. Beyond the cave lies a beautiful, small, completely enclosed beach formed by a sinkhole. Truly spectacular, but not unexpectedly, very crowded. On the shores you can find a charming little Muslim village a bit south of the resort. Make sure you visit Koh Rok, which is the most spectacular place. This is without a doubt exactly what sailing in Thailand is all about! Snorkeling in this area is amazing and a must see is the sunken lagoon cat about 100 meters east at only a few meters depth, that apparently sunk after a big fire on-board. This is a nice bay (on the north-western shore) with a modern resort on the beach with a pool and other facilities. Koh Racha Yai – Chalong bay (Phuket), (15 nm). A bit of a tricky part when sailing in Thailand is water. Some of the yachts have a water maker, which is very helpful, because there actually aren’t too many places where you can fill up your water tanks. 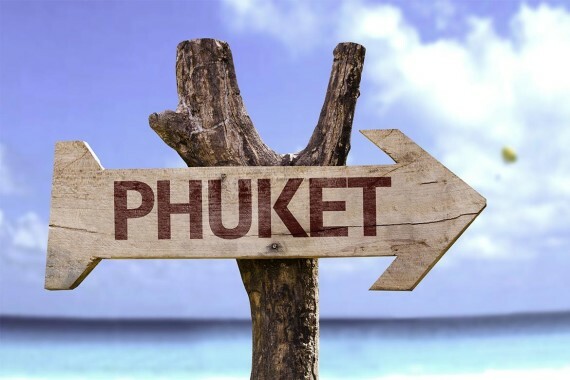 The only places you can get water (outside Yacht Haven) are Chalong in the south of Phuket, Krabi and Phi Phi Don (but the water is allegedly brackish). Sailing to Phang-Nga Bay, a magnificent limestone cliffs and islands offering spectacular views. Visit James Bond Island - location for the film “The man with the Golden Gun” the Talu cave and the surrounding mangroves rivers. Or visit Sea Gypsea Village at Koh Panyi, set on stilts over the water. Swimming and explore the fascinating Hong Island, named by its large internal lagoon, and visit Panak Island. Continue sailing to Krabi - another great sightseeing destination with locations ideal for swimming and relaxing on beautiful beaches. 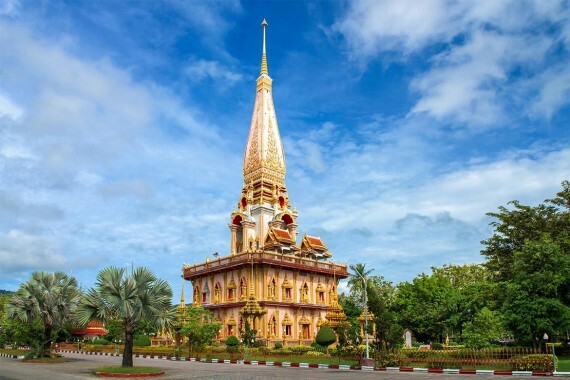 Spend the night and go shopping on Ao Nang Beach and anchor for a night. Sailing to Phi Phi Island - one of the most beautiful islands. Have a night out at one of the many bars and restaurants. Arrange a dive for the next day. Discover the magical landscape of Maya Bay where you can enjoy snorkeling in emerald crystal sea (where the movie “The Beach” was partially filmed.) Enjoy snorkel with colorful coral reefs and Under water sea life. Phi Phi is a paradise in the Andaman Sea. Racha Islands are best known as excellent diving and snorkeling destinations. Racha Yai, reveals itself in splendid fashion, with most arrivals landing onto a strip of fine white sand tucked deep into the long, U-shaped main bay, called Ao Tawan Tok or Ao Bungalow. The other large bay, Ao Siam is a pretty place where lonely strolls in solitude are possible. Racha Noi is uninhabited and has no services or accommodation, but there’s some great diving in the area. Sailing to Koh Rang Yai to visit a Pearl farm - one of the most well known and extensive pearling operations in Southern Thailand. A fascinating place includes a demonstration of pearl cultivation. There is also an opportunity to buy pearls of all sizes at the island pearl shop. Sailing back to Phuket Island. Up to 7 hours sailing back to Yacht Haven Marina. Disembark around noon. 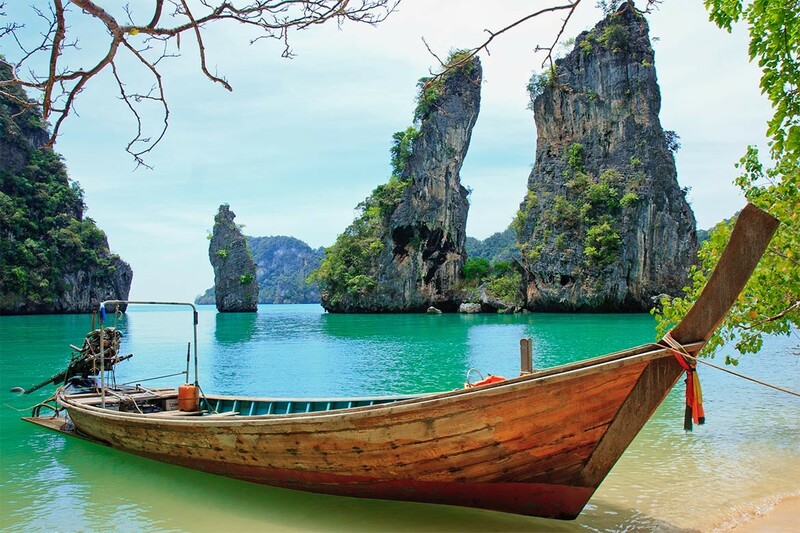 Sail to Phang-Nga Bay, with magnificent limestone cliffs and islands, offering spectacular views. Visit James Bond Island - location for the film “The man with the Golden Gun.” Visit the Talu cave and the surrounding mangroves rivers. Or head North to Sea Gypsy Village at Koh Panyi, set on stilts over the water. Swimming and explore the fascinating Hong Island, named by its large internal lagoon to see the stalactite and stalagmite which is happened by the natural phenomenon, situated around 2 lagoons calls Living room and Honeymoon room. Continue to explore the caves at Koh Phanak. Enjoy the wonderful scenery at several caves and lagoons such as bat cave, ice cream cave, pirate cave and also mangrove forest cave. Anchor and eat on board for the evening. Sail to Krabi - another great sightseeing destination with location ideal for swimming and relaxing on beautiful beaches. Spend the night and go shopping on Ao Nang Beach and anchor for a night. 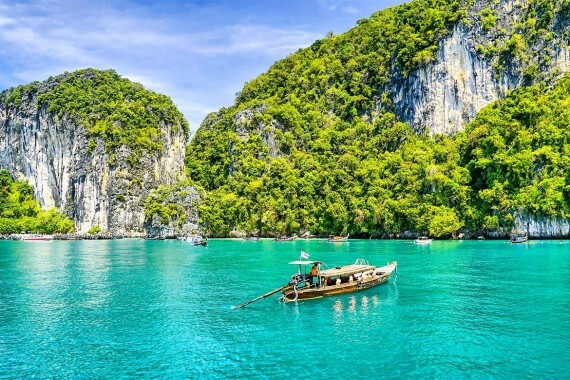 Sail to Phi Phi Island - one of the most beautiful islands. Discover the magical landscape of Maya Bay where you can enjoy snorkeling in emerald crystal sea (where the movie “The Beach” was partially filmed.) Enjoy snorkel with colorful coral reefs and Underwater sea life. Phi Phi is a paradise in the Andaman Sea. Sailing toward Lanta Island - lies on the west coast of Andaman Sea in between Krabi and Phi Phi Island. 9 beaches lie from north to south along the sunset coast. Stunning scenery, fantastic white sandy beaches, coastlines have more than 70 small islands and plenty with forest, coral reefs and under water sea life. Koh Kradan and the surrounding island group have the famous “Emerald Cave” This is a must for adventure fanatics; there is a 70 metre swim through a pitch black tunnel which leads to a beautiful emerald room within the island. Stop at Kradan Island for dinner and hopefully spot some turtles in this Breeding ground. Rok Island is actually comprised of two islands: Koh Rok Nai (inside) and Koh Rok Nok (outside). Koh Rok Nai is composed mainly of steep cliffs with superb beaches and unspoiled coral reefs among rocks. On the other hand, Koh Rok Nok has soft white sandy beaches and shallow water coral reefs towards the southeast and south with Hat Thalu and Had Man Sai - the most popular beach, has white sand beaches where you can waste the day away. Enjoy snorkel and share the water with many different species of fish in day time. And impress the wonderful sun disappear over the horizon. Chalong Bay hosts the beautiful snorkelling “Coral Island” In addition this is a great place to stock up on supplies and refill your water tanks. Plenty of restaurants and dive operators here. Phuket Islands has 17 sandy beaches such as Karon Beach, kata Beach, and Patong Beach. Patong Beach is the most popular and well-developed beach on Phuket’s west coast. 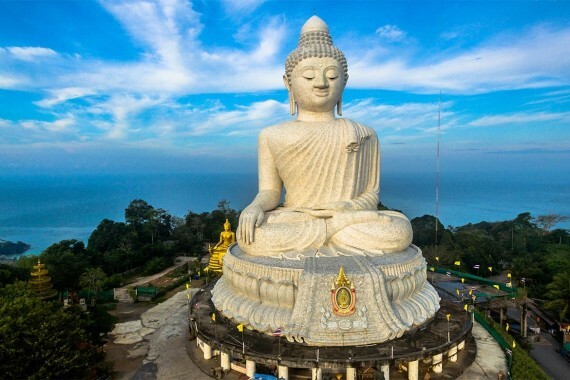 It is the main tourist resort in Phuket and contains the center of Phuket’s nightlife and cheap shopping on the island. Enjoy the nightlife at Patong Beach and anchor for a night or two. Sailing to Koh Rang Yai to visit a Pearl farm - one of the best known and extensive Pearling operations in Southern Thailand. A fascinating place includes a demonstration of pearl cultivation. There is also an opportunity to buy pearls of all sizes at the island pearl shop. Enjoy the short sail to the last real snorkelling spot before heading home. In the evening spend a night at the Koh Nakka and enjoy a meal on shore. 2 hours sailing back to Phuket - Yacht Haven Marina. Disembark around noon.